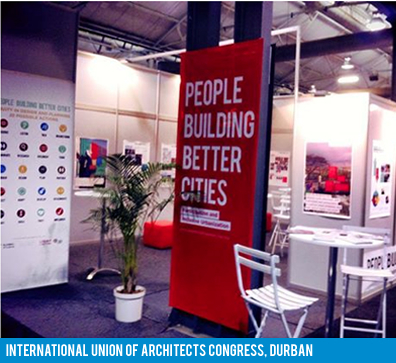 “The 25th International Union of Architects World Congress of Architects, UIA 2014 Durban, will be held at the International Convention Centre in Durban from 3-7 August 2014. This is the first time that this Congress is being held in Southern Africa and we are expecting 6000 delegates from around the world. The International Union of Architects (UIA) organizes a World Congress every three years, and there have been 24 previous UIA Congresses. The UIA is a non-governmental organization accredited by the United Nations, and it represents professional associations of architects in 124 countries, and approximately 1,3 million architects worldwide. The UIA secretariat, located in Paris, is responsible for the Union’s management and general administration. 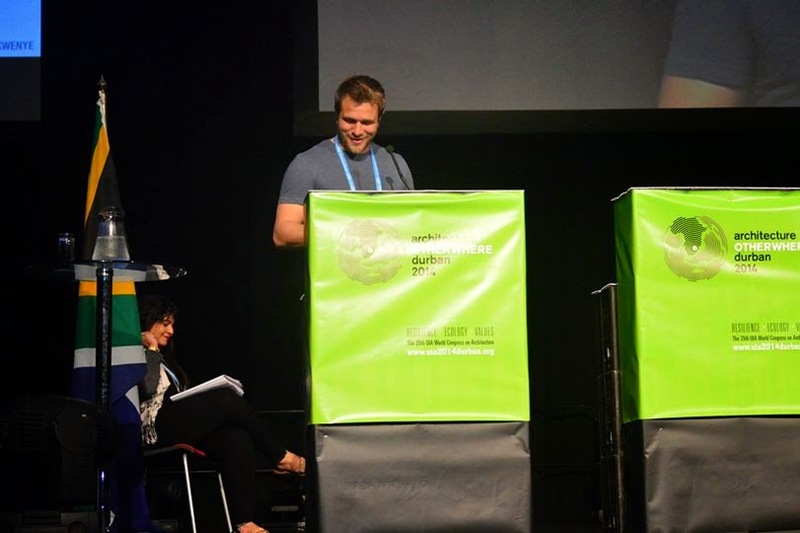 The UIA 2014 World Congress was held in my home town Durban, South Africa in August 2014, where I was honoured to be invited to participate on several platforms at the congress. My involvement included; a speaker at the Opening Address of the Student Programme, a debater in the Student Debate, a Reviewer on the Scientific Committee and the initial researcher and member on the panel of Warwick Experts that advised the student competition. During the congress, I presented a co-authored paper, as well as presenting my work in both the Global Studio Seminar and the Architectural Education Forum. Our understanding of architecture has significantly changed over time. Having been trainedin a post-modernist idiom in the eighties, one of the authors has witnessed the transformationof the profession and architectural design teaching over this time. Younger architects havebeen educated at a time of intense debates on relevance, justice and new professional values.They are now having to invent new roles for themselves and develop new methods of practiceas they navigate this relatively uncharted terrain.The teaching of architecture in general, and residential architecture in particular, has significantly changed over the years. Rooted in participatory design approaches and post-modern teaching pedagogy in architecture, this paper re-thinks the design studio, which isnow many times extended beyond the confines of the university campus, building metaphorical bridges between academia and communities. 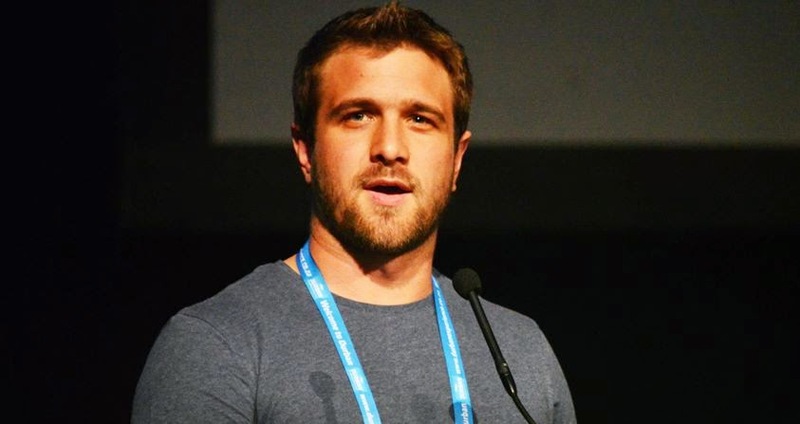 The idea of catalysts is key in terms of achieving an intimate understanding of the settingswithin which students and staff operate and where project sites are located. Thinking in termsof catalysts influences processes of identifying potential community collaborators as well as potential project briefs and sites.Some individuals/groups are perceiv ed as “institutions” and champions within their communities: in the sense that they are known, respected, accepted and many activities seemto either be initiated by them, supported by them or revolve around them. Identifying theseindividuals/groups is paramount to the success of a project. These individuals/groups becomeagents of change. Planning and design interventions may either enhance or undermine thisagency capacity and the potential to institutionalise it. This concept is linked to previousresearch and writing on urban acupuncture and agency in the built environment. Identifying where interventions could take place, what kind of intervention and anticipatingthe kind of influence it would have on the surroundings is critical. Mapping existing energiesand forces in an area may provide indicators as to where input may have the most potential for triggering a variety of responses. The conference was a week long intense experience with an overwhelming programme, packed with inspiring speakers and inspired congress goers. It was great to see Durban experienced by such influential people and I hope the themes of ‘Otherwhere’ carry through long with those who attended.